Hoarding is a behavior characterized by the “acquisition and saving of a large number of objects that seem useless or of little value to others” (Andersen, 2005). Hoarders fear throwing anything away and typically the volume of 'stuff' grows until it takes over the entire house. Often times, the hoarder is unaware that they have a problem and intervention can be difficult. The individual must want help, whether it is for themselves or for the sake of a loved one; a relative may often have to plead with the hoarder repeatedly before they seek help. A number of treatment options are available and here you will find details of the top three hoarding solutions. The following treatments do not completely eliminate hoarding behavior, but they do help to bring them under control. #1 Cognitive-Behavioral Therapy (CBT): this is believed to be the most effective treatment. A therapist will work with the client to reshape their way of thinking. The therapist will enter the client's home on several occasions to help process what possessions are truly important and what should be thrown away. The client will learn how to make decisions and part with their possessions without feeling anxious or distressed. This type of therapy takes patience and time, but in the long run, it is the most beneficial. Seek a therapist who specializes in hoarding, as there is a cognitive therapy specifically designed for hoarding (International OCD Foundation, 2010). #2 Medication: the use of antidepressants may be helpful. Some clients have found medications to help control their compulsion to hoard items. That being said, they do not always work for every person. 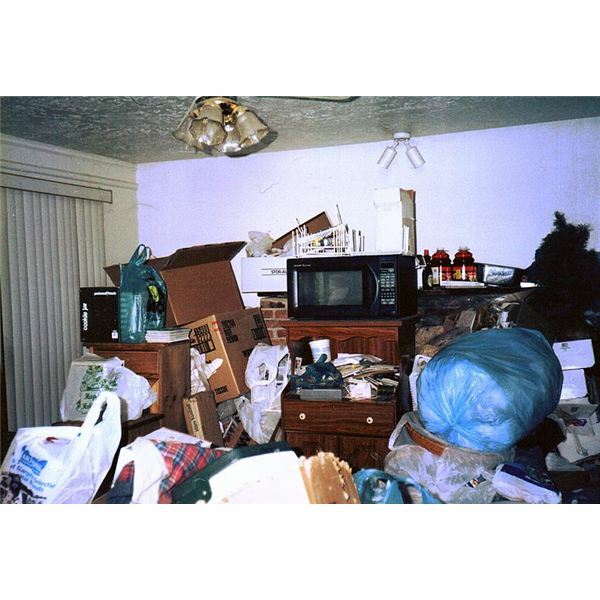 #3 Hoarding Cleanup Company: used alone, this hoarding solution will yield poor results, as it does not address the psychological side of hoarding. However, employing a company that specializes in hoarding cleanup can be a tremendous asset to the recovery process. Many companies can even help the client get setup with a therapist. The best feature of this type of help is that it can bring relief to the client. Cleanup can be overwhelming, so hiring some extra hands can really relieve some of the stress. For further information, visit the Hoarding Cleanup Nationwide Directory to find local companies. There is no cure for compulsive hoarding, but with patience and understanding, it can be treated effectively. To conclude I just want to mention one other top hoarding solution, and that is group therapy; it can provide the hoarder with comfort and a sense of accountability for the long-term success of treatment. Andersen, Elizabeth Ann (2005). The beliefs, desires and intentions of older people who hoard possessions. M.N. dissertation, University of Calgary (Canada), Canada. Retrieved January 19, 2011, from Dissertations & Theses: Full Text. (Publication No. AAT MR05437).